Surrender - Rocky Mountain Great Dane Rescue, Inc. Ideally, all dogs live in one loving home from puppy-hood until death. Realistically, however, this isn’t always possible. People become ill, die, divorce, move overseas, develop allergies, lose their jobs, lose their homes, etc. Any of these situations, among others, can be a reason for a dog coming into rescue. 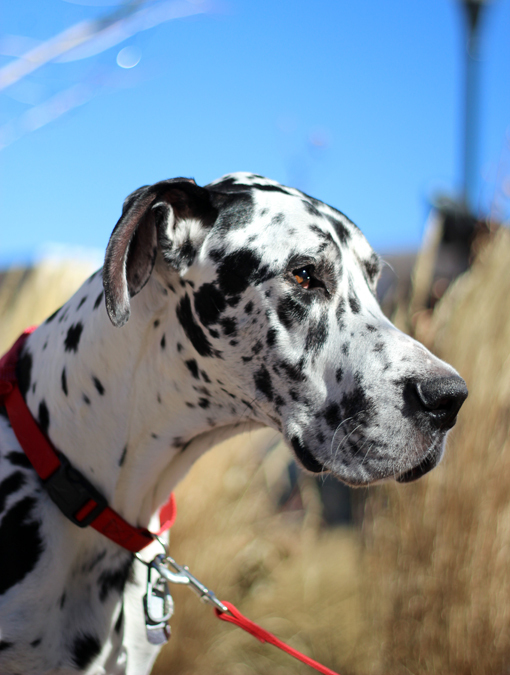 If you feel you are in a situation where you need to surrender your Great Dane, the information on this page will help you with the process of owner surrender. RMGDRI currently supports Colorado, Kansas, Nebraska, Iowa, Idaho, Oklahoma, New Mexico, Montana, Arizona, South Dakota, Missouri, Utah and Wyoming. If you are outside of our area you will need to contact your local Rescue or Shelter. RMGDRI does not guarantee the acceptance of every owner surrender into Rescue. During the initial interview, our Incoming Director will evaluate your situation to determine whether to proceed to the next step in the surrender process. If you are not ready to surrender your Dane, but are looking for help with behavior issues, please send an email to Training@rmgreatdane.org with a description of the issue as well as your location and we can provide you with training resources in your area. We have experience and knowledge with this breed and will work with you in an effort to help you with solvable issues/problems. If this isn’t possible, we will discuss your dog and the possibility of accepting him/her into Rescue. If your dog is accepted into our program, they will be placed in a carefully screened foster home for whatever length of time is necessary to assess his/her medical, behavioral and social needs. We will then re-home them with a family that has also been carefully screened. You should be aware that older dogs and dogs with medical problems may take longer to place. These dogs are given the best care possible to make them feel comfortable while they await their new homes. Dogs that are surrendered together will not be placed in a foster home together as the likelihood of them being adopted together is small. While in foster care, we spend time assessing the dog prior to their arrival through our intake process. This is where we learn about the dog’s likes and dislikes, and personality. By being as honest as possible with us, you can help us place the dog successfully. It is vitally important that we have a complete medical history on the dog. Contact your vet and get a copy of your dog’s medical records, including rabies tag and microchip registration, if applicable. This will save them from being unnecessarily re-vaccinated. If your dog is unaltered, needs vaccines, heart-worm testing, or a dental cleaning, please do your dog one last favor and take care of these veterinary needs. RMGDRI dogs are vetted, micro-chipped, neutered/spayed, brought up to date on vaccinations (as necessary) and put on heart-worm prevention (where necessary) before being placed for adoption. Taking responsibility for these veterinary necessities for your own dog will allow us to place your dog sooner. It will also ensure the Rescue is channeling funds to the truly neglected dogs that may be in need of extensive medical treatment. If you are unable to get your dog up-to-date on vaccinations and spayed/neutered, please consider a monetary donation upon surrendering your dog to help cover part of these costs. We sincerely appreciate receiving a monetary donation from the dog’s owner whenever it’s financially possible. Our suggested minimum donation fee is $50.00. An Owner Release Form can be found on this page or it will be sent to you to complete. Please be thorough and accurate. This form lets us know about your dog’s likes and dislikes, fears, favorite activities, toys or treats, etc. If you are surrendering more than one dog, please fill out a separate form for each dog. If your dog is accepted into Rescue, this form grants full legal and ethical ownership and responsibility for your dog to the Rescue. When possible, you’ll be asked to bring your dog to a designated intake place, or to transport at least part of the way if you are a long distance from the rescue representative or foster home. Make sure your dog is wearing a collar and ID tags for the trip. Determine which of your dog’s belongings you can send with him/her. Having their own crate, bed, toys, jacket, etc., not only keeps the dog more comfortable by being around familiar objects, but relieves rescue of having to purchase so many of these items for your dog. Please send food that your dog is used to, and pack up medications or supplements your dog needs, along with instructions for administration of them. All of our dogs are placed first in pre-approved foster homes. Except in the case of strays or dogs coming from shelters where contagious illnesses might threaten the pets of our foster families, we do not board our dogs at kennels, veterinarian’s offices, groomers, etc. Our prescreened and well educated foster families are provided with support from other volunteers and foster families as well as trainers and veterinarians when appropriate. If you would like to surrender your dog to RMGDRI, you can begin the process by completing the Owner Surrender Form on this page or by contacting our Incoming Director Jen Greene at jengreene@rmgreatdane.org or contact us at 303.552.0484. Please understand that we are an all-volunteer organization and that it may take up to 48 hours to get back to you regarding your inquiry. In addition, once we decide to take a dog in it takes time to find a foster home and arrange transport; we will not be able to drop everything and accept your dog. Typically it is not an extremely quick process so be prepared for a wait period before we can accept your Great Dane into rescue.